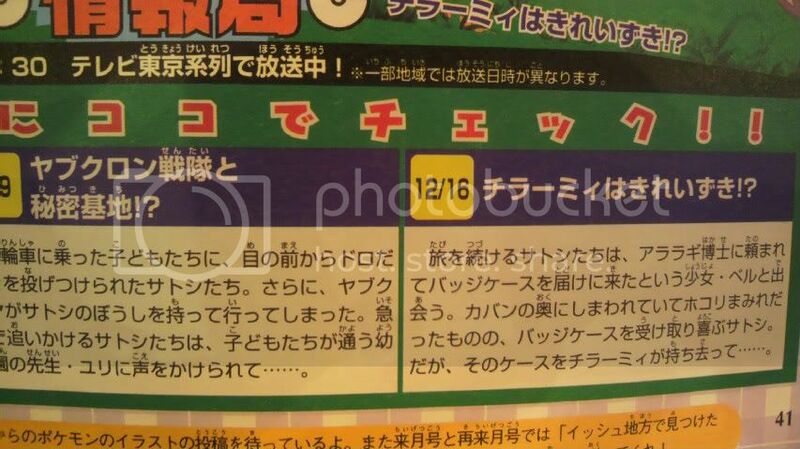 The thirteenth episode of Pocket Monsters Best Wishes, 「チラーミィはきれいずき！？」 Chillarmy is a Neat Freak, will air on Dec. 16. The episode will feature the Black and White rival Bel, who was asked by Professor Araragi to deliver a Badge Case to Satoshi. The badge case, however, was deep in Bel's bag and covered with dust, was then taken by a Chillarmy.